NASA wants to launch a picture of you on the final space shuttle mission. After registering at the Face in Space website, you’ll be able to upload an image that will be put on a disc and flown aboard the shuttle Atlantis. After launch, participants will be able to print a commemorative certificate signed by the mission commander. From the Face in Space website you can also check on the mission status, find NASA educational resources, and follow the crew on Twitter or Facebook. NASA will host its first live Google+ Hangout with the International Space Station from 10:30 a.m. to 11:30 EST, Friday, Feb. 22. NASA Explorer Schools students in Mr. Nate Raynor’s class at Mescalero Apache High School in Mescalero, N.M, and students in Ms Danielle Miller’s class at University High School in Orlando, Fla., will connect with astronauts living and working aboard the laboratory orbiting 240 miles above Earth and with astronauts on the ground. Astronauts Kevin Ford and Tom Marshburn of NASA and Chris Hadfield of the Canadian Space Agency will answer questions and provide insight about life aboard the station. Crews conduct a variety of science experiments and perform station maintenance during their six-month stay on the outpost. Their life aboard the station in near-weightlessness requires different approaches to everyday activities such as eating, sleeping and exercising. Participate by using #askAstro to ask real-time questions on Google+, YouTube or Twitter. On the morning of the event, NASA will open a thread on its Facebook page where questions may be posted. View the hangout live on NASA’s Google+ page or on the NASA Television YouTube channel. To join the hangout, and for opportunities to participate in upcoming hangouts, visit the NASA’s Google+ page. Connect with NASA’s Digital Learning Network, and let your students explore history and science with NASA and Tuskegee. On Feb. 20, from 2-3 p.m. EST, your students will have a chance to discuss the early frontiers of aviation with a contrail scientist and a pilot who is president of the Howard Baugh Chapter-Tuskegee in Petersburg, Va. Classes will be selected to participate in this live event by Feb. 11, 2013. Spots are limited. Email Bonnie Murray if you are interested in having your students participate. For more information about this event, visit the Digital Learning Network website. Did you know you may be able see the International Space Station from your home? As the third brightest object in the sky, after the sun and moon, the space station is easy to see if you know where and when to look for it. NASA’s Spot the Station service sends you an email or text message a few hours before the space station passes over your house. The space station looks like a fast-moving plane in the sky, though one with people living and working aboard it more than 200 miles above the ground. It is best viewed on clear nights. For more information and to sign up for alerts, visit Spot The Station. This opportunity is a great extension to NASA Now: The Mechanics of Solar Panels. To access this episode of the Emmy Award winning NASA Now series, log into the NES Virtual Campus. 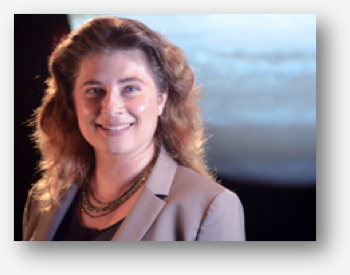 Today, Dr. Michelle Thaller from Goddard Space Flight Center will answer student questions from 1 – 2 p.m. EDT. Dr. Thaller’s research interests are hot stars, colliding stellar winds, binary star evolution and evolved stellar companions. Don’t miss this opportunity to have your students ask Dr. Thaller about her research and the path that led her to NASA. Solar Week Spring 2012, March 19-23 is a lively week of online activities and curriculum for students about the sun, including games and lesson plans for the whole week. In addition, there’s a message board where your classroom can submit a question to leading solar scientists. Every fall and spring since 2000, Solar Week has provided a week-long series of Web-based educational classroom activities and games geared for upper elementary, middle and early high school students with a focus on our dynamic sun and its effects on Earth. Students learn about solar eclipses, sunspots, solar flares and solar storms through a series of activities, games, and lessons. Solar Week is ideal for students studying the solar system, the stars, or astronomy in general, and now we feature a day on solar energy. It’s also for kids wondering what it’s like being a scientist, and pondering possible career choices. Participation makes for a fun computer lab activity as well. After doing the activities, students can interact on the bulletin board with leading scientists at the forefront of Sun-Earth research. It’s a great place for any student interested in our nearest star, the sun! 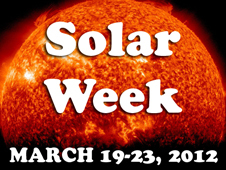 Solar Week is a collaboration between University of California, Berkeley and Rice University. Note: Teachers, please read the FAQs before your class submits a question to the bulletin board. There you will find information and answers on how to ask a good question and other useful tips. NES Featured Lesson: GENESIS — What are we Made of? Link to the NES Virtual Campus sign in page. NASA has launched its first multi-player online game totest players’ knowledge of the space program. Who was the firstAmerican to walk in space? Who launched the first liquid-fueledrocket? These are only a few of the questions players can answer inSpace Race Blastoff. Available on Facebook, Space Race Blastoff tests players’ knowledge ofNASA history, technology, science and pop culture. 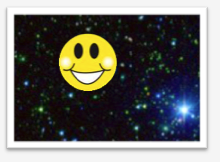 Players whocorrectly answer questions earn virtual badges depicting NASAastronauts, spacecraft and celestial objects. Players also earnpoints they can use to obtain additional badges to complete sets andearn premium badges. NASA chose to make the game available through Facebook to takeadvantage of the social media site’s large audience and enableplayers to compete against others. Individuals also can play sologames. Once in the game, players choose an avatar and answer 10multiple-choice questions. Each correct answer earns 100 points, witha 20-point bonus to the player who answers first. The winner advancesto the bonus round to answer one additional question for more points. Correctly answering the bonus question earns the player a badge. 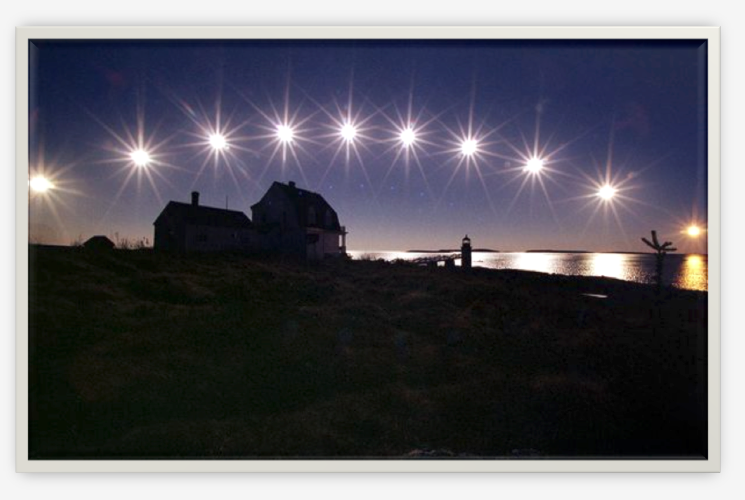 This year, the winter solstice takes place on Thursday, Dec. 22 at 12:30 a.m. EST. The winter solstice marks the day when winter officially starts in the Northern Hemisphere and when days start to become incrementally longer. Do you understand why this happens? Find out at the Chandra website and then incorporate the information into the NES lessons Heat Transfer: MESSENGER — My Angle on Cooling (grades 5-8), Analyzing Solar Energy Graphs: MY NASA DATA (grades 9-12), and Temperature and Earth Climate: Modeling Hot and Cold Planets (grades 7-9). NES Virtual Campus home page. 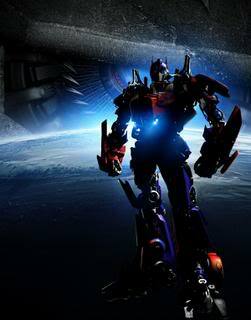 NASA has opened registration for the 2011 OPTIMUS PRIME Spinoff Award Contest. Featuring OPTIMUS PRIME, the leader of the popular TRANSFORMERS brand, the contest highlights spinoffs from NASA technologies that are used on Earth. 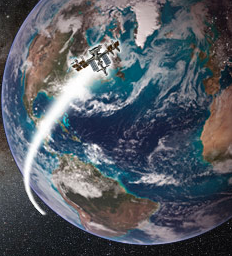 The goal is to help students understand the benefits of NASA technology to their daily lives. Last year’s contest was open to students in grades 3-8 and resulted in 76 video submissions from over 190 students in 31 states. For 2011, the OPTIMUS PRIME Spinoff Award Contest has been expanded to include students in grades 3-12. Each student, or group of students, will submit a three- to five-minute video on a selected NASA spinoff technology listed in NASA’s 2010 “Spinoff” publication. Videos must demonstrate an understanding of the NASA spinoff technology and the associated NASA mission, as well as the commercial application and public benefit associated with the spinoff technology. Participants must register for the contest by Jan. 3, 2012. Video entries are due Jan. 17, 2012.Video entries will be posted on the NASA YouTube channel, and the public will be responsible for the first round of judging. The top five submissions from each of the three grade groups (Elementary [3rd-5th], Middle [6th-8th] and High School [9th-12th]) will advance for final judging. A NASA panel will select a winning entry from each group. Among other prizes, a crystal OPTIMUS PRIME Spinoff Award Trophy will be given to winners at a special awards ceremony being held in Florida in April 2012. The innovators associated with the NASA technology highlighted in the winning videos also will receive trophies, as will their commercial partners. For more information, visit the OPTIMUS PRIME Spinoff Award website. Questions about this contest should be directed to Darryl Mitchell at Darryl.R.Mitchell@nasa.gov. Registration is open for Team America Rocketry Challenge 2012, a national model rocket competition for U.S. students in grades 7-12. Thousands of students compete each year, making TARC the world’s largest model rocket contest. Cash prizes are awarded to the top finishers. Participation is limited to the first 1,000 teams who register by Nov. 30, 2011. For more information and to register visit the competition website.